Creation Date Friday, 04 April 2014. According to the Centers for Disease Control and Prevention (CDC) in collaboration with the National Institutes of Health (NIH) and the National Institute of Allergy and Infectious Disease (NIAID), Legionnaires’ disease is a fatal type of pneumonia that can be acquired via exposure to steam in hot tubs, showers, cooling towers, fountains, evaporative condensers, hot water systems, or air-conditioning units containing Legionella Pneumophilia bacteria. Historically, the first major outbreak of this fatal disease was recorded back in July 1976 at an American Legion convention in Philadelphia at The Bellevue-Stratford Hotel. Medical experts found that the contaminated water in the cooling tower containing high concentrations of Legionella produced steam that infiltrated the hotel atmosphere. The outbreak left 25 casualties and 130 hospitalized guests. By November of the same year, The Bellevue-Stratford Hotel finally ceased their operations. 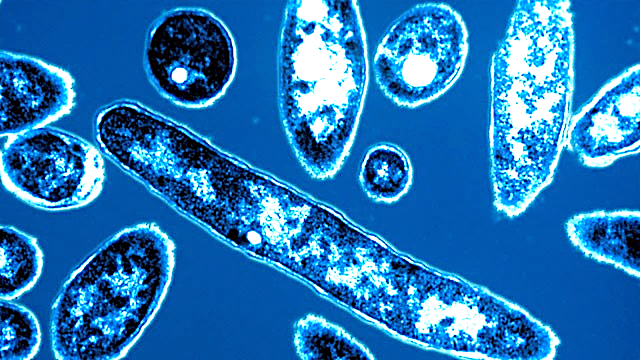 Laboratory investigations found that Legionella Pneumophilia is dormant at temperatures ranging from 0˚ F. to 68˚ F while it thrives at 68˚F to 121˚ F temperature range. At temperature beyond 121˚F, this Gram negative aerobic type of bacteria expires within the following time frames: 100% instantly at 160˚ F; 90% within 2 minutes at 140˚ F; and 90% within 2 hours at 122˚ F.
Further findings also indicated that legionella is most prolific in algae, flavobacteria, pseudomonas, biofilms, and scales-enriched environments that are highly common hot water tanks and dead legs in home hot water systems. Disease specialists found a viable mitigation tactic to combat legionella through regular and routine laboratory water testing and analysis. Supposing that a Legionella Colony Forming Unit (CFU) is present within a home hot water system upon water testing, hyper halogenation and thermal eradication are two recommended methods of emergency water system fumigation. Hyper halogenation utilizes high concentration levels of halogen that kills waterborne microorganisms like Legionella. The process requires isolation of infected waterside piping system and exposed to halogen while water samples are taken at various locations to ensure that they remain below safe drinking levels. Whereas, thermal eradication follows the same piping systems isolation but it utilizes water in extreme temperatures that reaches beyond 160˚ F, which then circulate and cleanse the piping system. These two emergency disinfection methods require routine water treatment maintenance. Other highly recommended post-disinfection water treatment techniques also include silver copper ionization, ultraviolet light exposure, hyperchlorinization, and heat treatment process. High-grade water purification systems could go a long mile in the advancement of disease prevention. For over two decades, Aqua Solutions has been dedicated to developing and distributing premium quality water treatment systems for laboratory application worldwide. To view Aqua Solutions’ comprehensive line of laboratory water purification technologies, visit www.aquaa.com today.